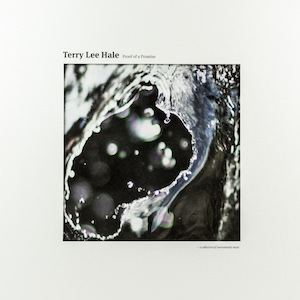 Terry Lee Hale’s first instrumental recording. Self-produced and recorded at his own Rue Voltaire studio just outside Paris. Clear vinyl in die-cut cover. Sorry, no sales no Norway. 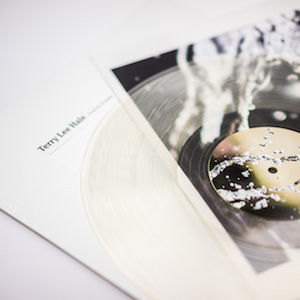 Zurück in die Zukunft, a sub-label of Crispin Glover Records, is proud to present Terry Lee Hale’s first instrumental recording ‘Proof Of A Promise’ on vinyl. Self-produced and recorded at his own Rue Voltaire studio just outside Paris, ‘Proof Of A Promise’ features 10 instrumental songs. These songs range in style from solo guitar work (i.e. Etude Bella, Matt Diamond Theme) to the more heavily produced studio efforts (Cigarette Run, The Sable Venus). Warm, cohesive, imaginative and fun, all of these songs showcase Hale in a variety of settings and styles. Mixed by long-time collaborator Chris Eckman (Walkabouts, Dirt Music, Tamikrest) and mastered by Denis Blackham (Cocteau Twins, Michael Oldham, Jimi Hendrix), the LP also features a bold presentation with clear vinyl as well as photographs by French photographer Franck Betermin and design by Norwegian graphic artist Håvard Gjelseth.